​A third-generation Rocklander, he was named literary and visual artist of the year in Rockland, 2005 and 2010, respectively. Gunther is a former trustee of the Edward Hopper House in Nyack and serves on the Rockland County Historic Preservation Board as well as in the volunteer Rockland Breakfast Program as Tuesday chief cook. 2005 and 2010 Rockland Literary and Visual Artist of the year honoree Art Gunther references the influences of Hopper and his home within his vibrantly recognizable body of work: "Hopper's fascination for light and his understanding of stillness in people, object and place drive my soul:"
Photographer Sally Savage is best known in Rockland County for the photo-journalism to capture the passing of time in her own small village of Piermont on the river in the Hudson Valley, recording changes since the late 1960s. Savage has exhibited, published and taught photography widely throughout the tri-state area. 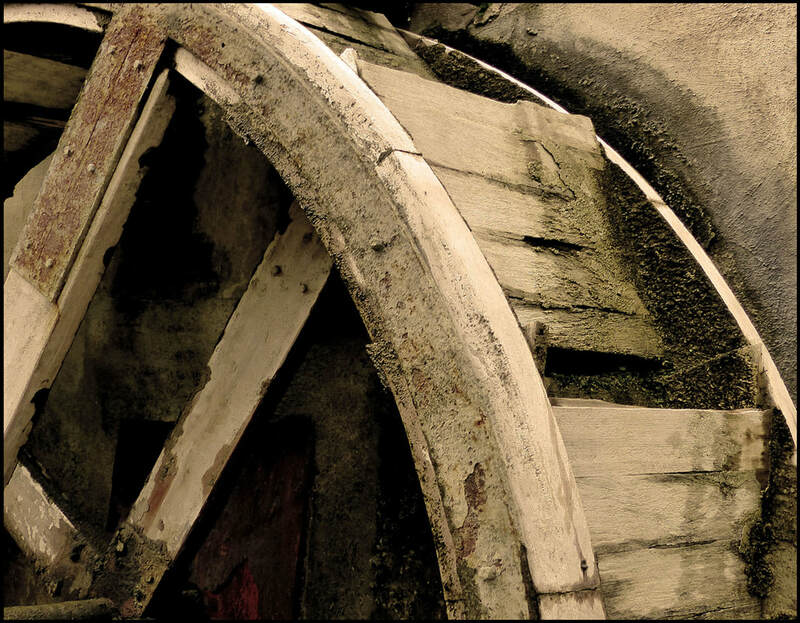 Savage was awarded the Rockland County Executive Arts Award: Visual Artist in 2001, and her work has twice been selected by the Rockland County Art in Public Places program. She was trained at London’s School of Printing and Graphic Arts in England, and most of her adult life has been spent in Piermont, N.Y. where she raised three children and developed her photography business. Join poet and musician Marcus John, along with Edward Hopper House Nighthawks in a performance of poetry in the gallery, welcoming guests to partake in this spoken word, open-mic event following select readings from Marcus John. Marcus C. John is an American born Poet/Singer/Songwriter and Hip Hop artist of Grenadian descent. Born and raised in Yonkers, NY, the youngest of seven, Marcus has always shown an interest in creative arts. Marcus started writing at the age of eight and began professionally performing at the age of sixteen. He remains a Teaching Artist and balances life as a fitness and Yoga instructor as well. A proud advocate for the LGBT community and Urban communities of America, Marcus writes to heal audiences while confronting conformity and all forms of oppression. Born in Arizona, Lyda was a member of the Ocean County Artists Guild and exhibited her work both there and at other venues in New Jersey. The format and content of her work was influenced by her decade of work in the natural sciences, where she often worked with very small archeological artifacts and fossils. Much of her work centers around the human figure, and in her words, “...the spatial and temporal overlap in human experience...how to define humanness and motion”. ​Executive Director Jennifer Patton will present highlights of upcoming exhibitions for the 2019 season at Edward Hopper House Museum & Study Center. 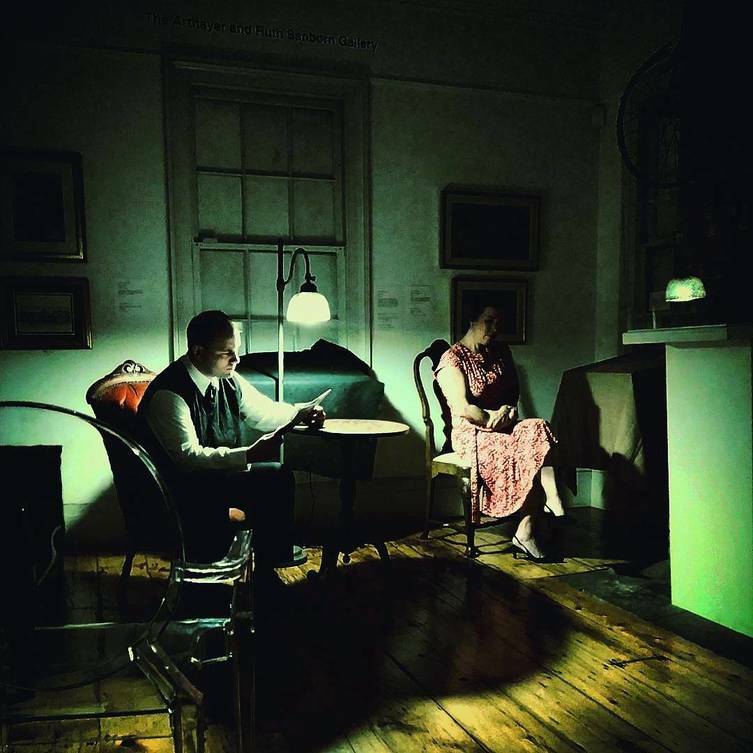 7, 8:30 PM - SPECIAL ENCORE: "Hopper Scenes"
In collaboration with The Children's Shakespeare Theater and the Center for Safety and Change, we are thrilled to re-present an evening of immersive theater throughout Edward Hopper House. Scenes and monologues devised from paintings by Edward Hopper, written by Diana Green and presented by local actors, are reimagined to consider issues of domestic violence and mental health. Tableaux staged throughout the house came to life as the audience is guided to experience each scene. Ms. Opalek has exhibited work in various libraries and galleries in New Jersey, Rockland and Westchester, NAWA (National Association of Women Artists, NYC), Bergen County Camera in Westwood and Blue Hill Cultural Art Center in Pearl River. She captures interesting places and moments in time with a wide range of subjects from street photography, nature, landscapes, reflections and textures. 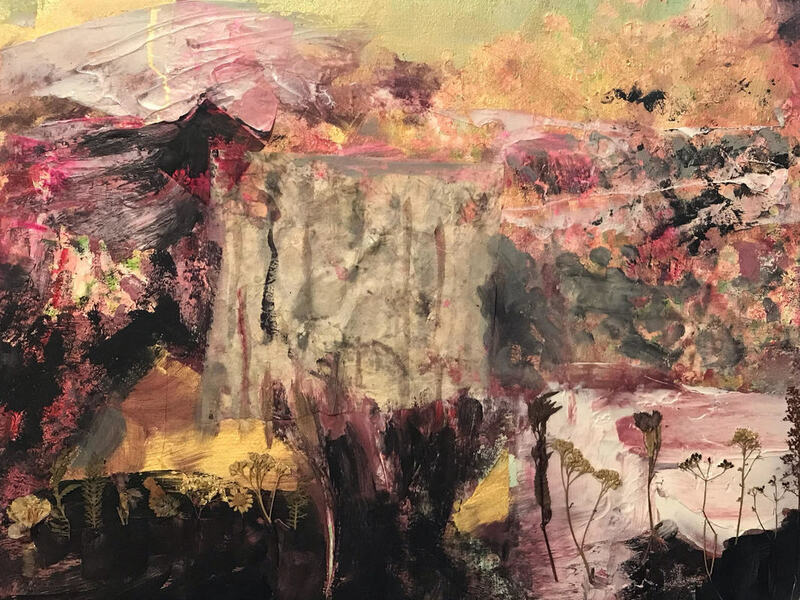 Her show in the gift shop of the Edward Hopper House is focused on her love of textures.She says, "From weathered wood, peeling paint and oxidized rust, I want the textures to jump off the paper and grab the viewer." 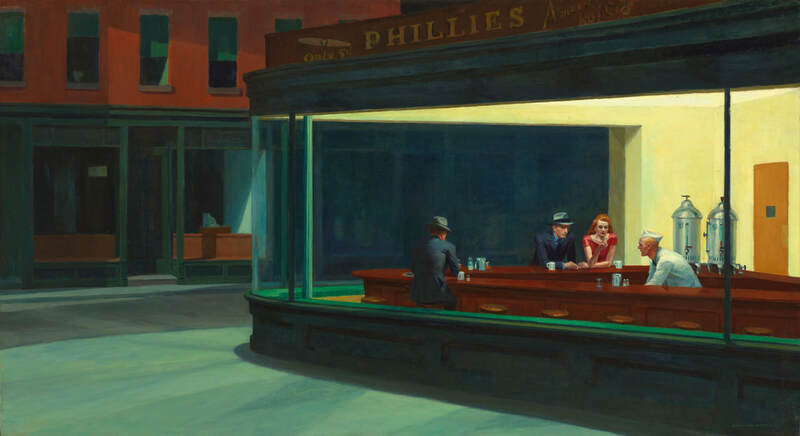 Did you know that "Nighthawks" was painted the same year that Pearl Harbor was bombed? From 1939 to 1945, World War II had interrupted the careful balance established after the first world war and left a trail of destruction in its wake. Violent, controversial and brutal, the effects of the battle were felt by everyone, even those who were not directly involved. Among them were artists who used their talent to draw inspiration and create works from this global devastation like Edward Hopper. Hopper’s works are seen as lonely, withdrawn, and isolated which signifies the lack of human touch and empathy during this turbulent time. With the eruption of two world wars in just thirty years, were Edward Hopper’s works truly illustrating the sociopolitical reality of the early twentieth century? Jayne Feinberg Stuecklen was born in Suffern, NY and attended Parsons School of Design, NYC, The Art Students League, NYC and University of Texas, Austin, TX. She was a recipient of a CETA grant in the early 1970s in Provincetown MA where she developed programs building playgrounds and outdoor mural projects for children. Her art continued to develop while living in Sandgate, VT with her late husband Karl Stuecklen where she developed a program of art for people with dementia called “I Am Still Here” in conjunction with the Alzheimer’s Association in Bennington, VT. She also showed in many local Vermont galleries. She now lives and works in Nyack, NY. Robbie Simon (b. 1984) is an artist and designer working in Los Angeles, CA. His work is most often identified by the flat abstract graphic compositions that resist simple interpretation or functionality. The work is often powered by bright and unique color palettes inviting the viewer to consider the mindfully crafted juxtapositions that can drift between finessed mirages of figurative concepts and jovial 2-D sculptural graphics. Simon's career has notable origins in the music world where he's worked with artists such as Allah Las, Kevin Morby, Wilco, Bonnie "Prince" Billy, Fleet Foxes, Grizzly Bear, Angel Olsen, Tinariwen, Max Richter, Wild Nothing among many others. 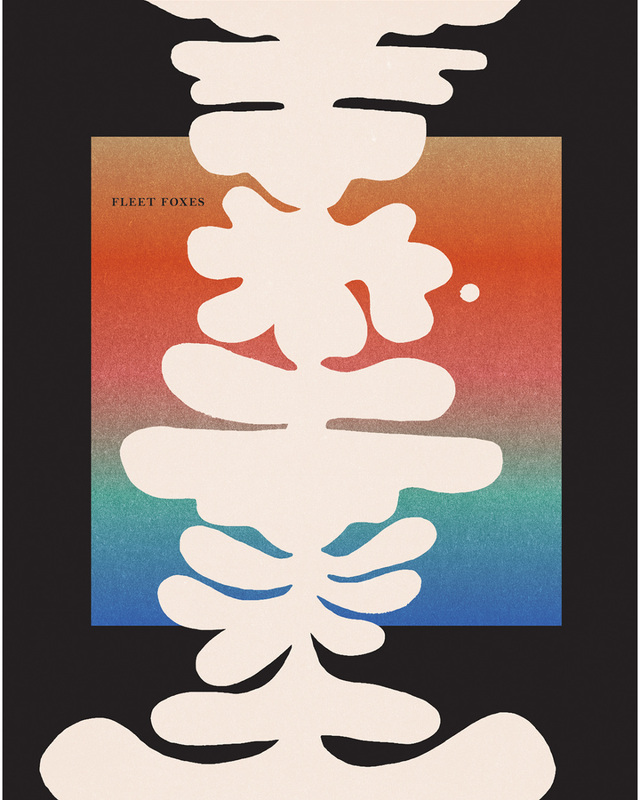 His work has crossed over to a wide variety of paths and clients including Stussy, Standard Hotel, Facebook, Vans, Barbican Centre London, Pitchfork Music and Afar Magazine to name a few. Get a SNEAK PREVIEW of Art21's new Season 9 before it publicly airs this September. Guests will see films featuring Season 6 artist Glenn Ligon and Season 2 artist Elizabeth Murray, artists who tie in nicely with Milton Glaser's exhibition. Art21 is a celebrated global leader in presenting thought-provoking and sophisticated content about contemporary art, and the go-to place to learn first-hand from the artists of our time. A nonprofit organization, Art21’s mission is to inspire a more creative world through the works and words of contemporary artists. 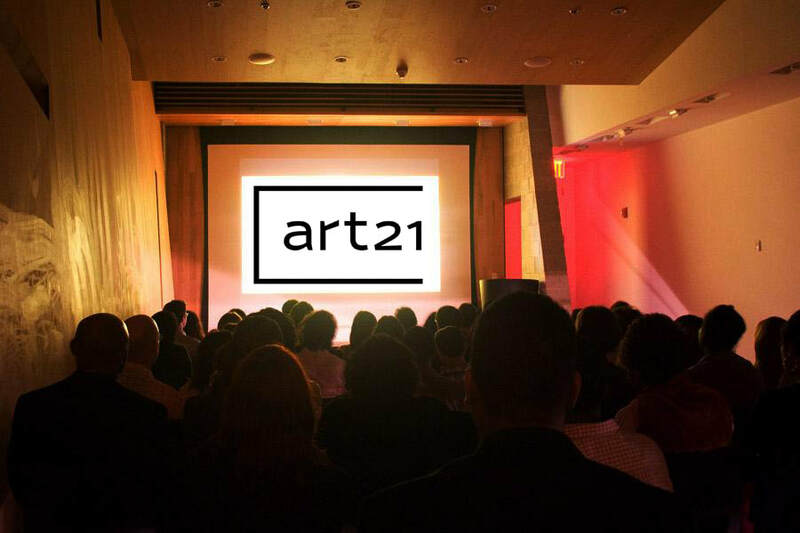 Art21 provides unparalleled access to the artist’s voice to diverse audiences around the world, using the power of digital media to introduce millions of people to contemporary art and artists. For nearly two decades, Art21 has changed the paradigm for teaching and learning about the creative process. Rui DoCouto was born in Terceira, one of nine volcanic island in the the Azores. His parents migrated in the 70’s to Califonia and later to Boston. Rui attended The Museum School of Fine Arts, Boston and moved to New York City in the late 80’s to continue to paint in his woodshop/studio in first Harlem, West Village and later Williamsburg, Brooklyn. In 2007, Rui showed his first full collection of whimsical sculptures called “Childhood Memories”, these beyond human sized bugs were not only friendly but they captured world-wide media attention from publications such as New York Times, Esquire, Dwell, Interior Design, Harbars Bazaar and others internationally. 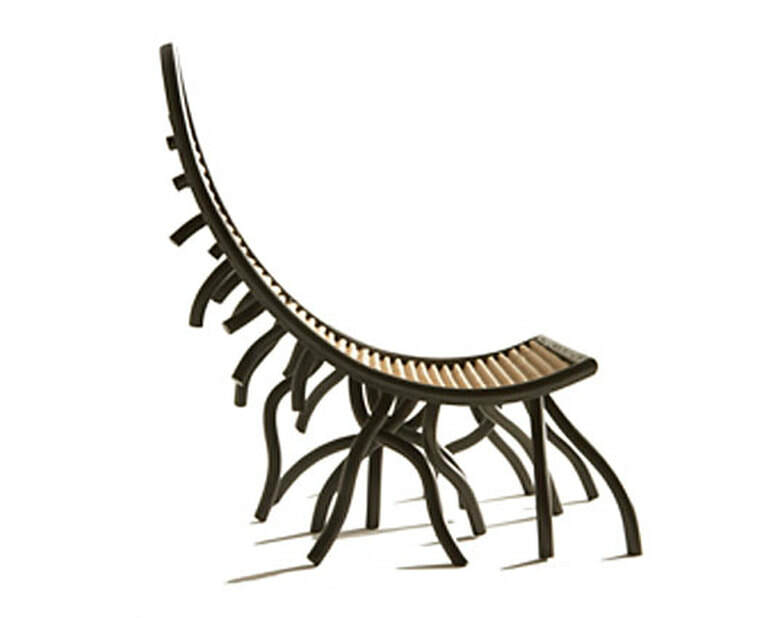 Rui’s work since his early years in art, whether painting, sculpture or designing furniture have been about movement. The exclusive and limited edition pieces made for The Hopper House, artist of the month are promised to do the same. ​Michael Hays is a 30-year resident of the Nyacks. He grew up the son of a professor and nurse in Champaign, Illinois. He has recently retired from a long career in educational publishing with Prentice-Hall and McGraw-Hill. He is an avid cyclist, amateur historian and photographer, gardener, and dog walker. 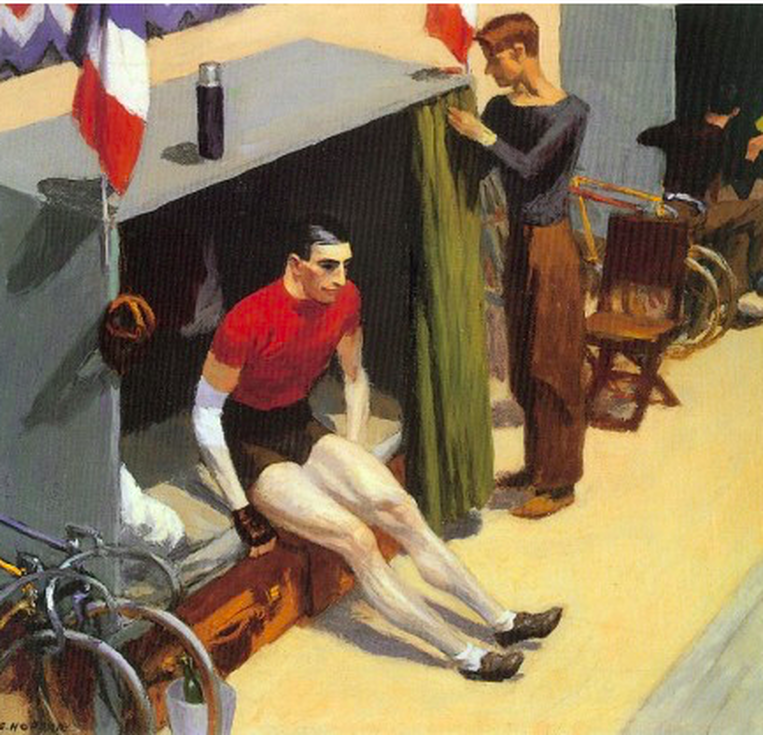 Read his recent article in Nyack News & Views, Nyack People & Places: Did Edward Hopper Ride a Nyack Bike? Michael Witte is one of America's preeminent comic illustrators. Witte is a native of St. Louis and was Art Editor of his university's humor magazine. After flunking out his senior year (he eventually returned to graduate), Witte moved to New York City where he serendipitously discovered that a market existed for his non-academic talents. His work has since appeared in national publications such as The New Yorker, TIME, Harper's, The Atlantic, The New Republic, Rolling Stone, Forbes, Fortune, Money, Business Week, The New York Times, The Washington Post, The Wall Street Journal and New York Magazine among many others. The recipient of numerous art direction awards, Witte has also garnered a PAGE ONE Award from the Newspaper Guild of New York and consecutive National Headliner Awards as America's top illustrator. Witte is the father of three sons and resides in South Nyack, NY with his psychologist wife, Sally and fiercely protective lap dog, Bernie. Win Zibeon was born in Brooklyn, NY and was one of the first men to attend Hunter College at a time when major New York artists were teaching there. Win was especially encouraged by his teachers Tony Smith and Robert Morris. He worked through an abstract phase right through to his present day trompe l’oeil style. He was awarded the William Graf Memorial Scholarship for graduate study in painting. He lived in downtown Manhattan for a number of years before moving to his present studio – a barn in Rockland County, NY where he started painting his anti-landscape series. He has won many prizes and is included in many collections both in the US and overseas. Last year he won best in show at the "H20" national juried competition at East End Arts, Riverhead, NY. 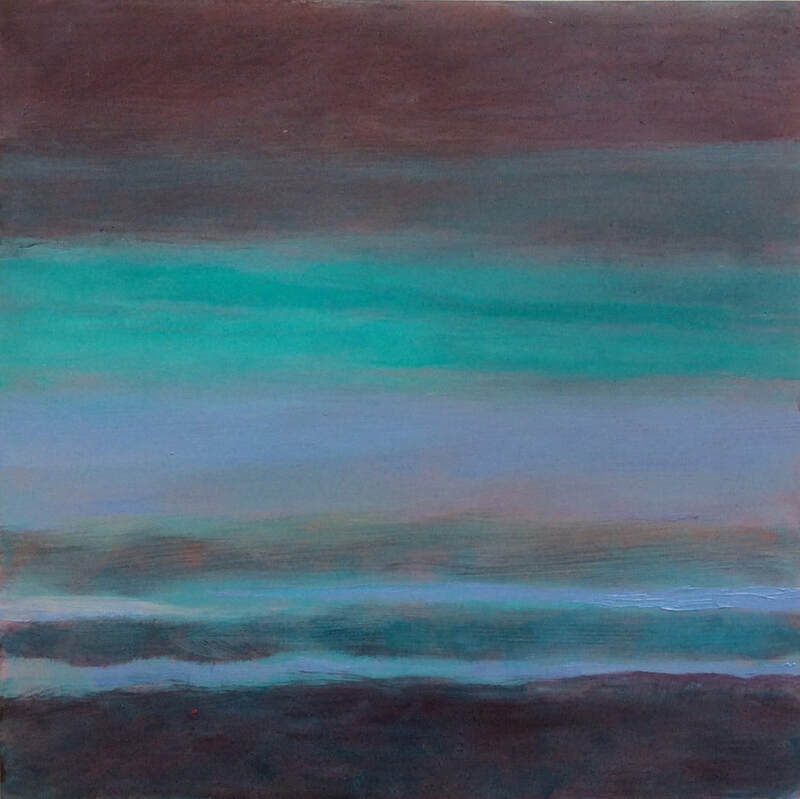 Recent group exhibitions include "Current Hues of the Hudson" at the Bethel Woods Center for the Arts, Bethel, NY, "Between Realities" at the Peter Marcelle Gallery, Bridgehampton, NY. and "Contemporary Trompe l’Oeil" at the Peto Museum in Island Heights, NJ. Maxine Nodel will share her passion and artistic thought process for her Eyes on America’ Portrait Project, her new emerging initiative celebrating the beauty, fragility, and exquisite uniqueness of American diversity during tumultuous times. Maxine received her BFA from Cooper Union and exhibits and sells her work nationally and internationally. She was also an award-winning arts educator and founder and principal of a NYC arts high school funded by a Bill and Melinda Gates Foundation Grant. In 2009, her school received the Lincoln Center Institute First Place Award for Most Imaginative Curriculum in NYC. About the work: As a lifelong New Yorker, Marilyn Henrion's aesthetic vision has always been deeply rooted in the urban geometry of her surroundings.The Patchwork City series, created between 2015 and 2017, captures the energy, vitality and cacophony of the ever-changing urban landscape. Much as Edward Hopper had done in the last century, Henrion synthesizes and transforms the "facts" of the material world to reflect her own experience of a particular place. These limited edition prints on brushed metal reproduce her linen collages. The original works are constructed from her manipulated photographs which are printed on fabric, cut apart and reassembled on canvas. 7-8 PM - Gallery Talk: "A Mother is Created"
This short lecture by Emily Dzuback, with Mother’s Day in mind, will explore the relationship between the artist Mary Cassatt and her mother, Katharine. Many of Cassatt’s artworks depict mothers with their children. The talk will draw from three artworks by Mary Cassatt, most notably ‘The Child’s Bath,’ and Cassatt’s personal letters, which describe not only the close familial ties Cassatt had, but the profound influence of Katharine Cassatt on her daughter’s work. Contemporary social history, more specifically the role of the American mother in the late nineteenth century, will also be used to frame the context of Cassatt’s artworks, in addition to situating Elizabeth Hopper among similar societal expectations as she was raising a young Edward Hopper. newspaper ads (seen in New York Times, etc. ), and on book jackets, He has exhibited paintings and other artworks in solo/group shows in Manhattan galleries, on 5th Avenue, Madison Avenue, Astor Place, and John Street in the Wall Street area; in Montclair, and Verona, New Jersey; in Westchester and in Rockland County, New York. Carole Stone is the author of HURT, THE SHADOW: THE JOSEPHINE HOPPER POEMS (Dos Madres Press, 2013). She has published three books of poetry and seven chapbooks as well as numerous critical essays on writers, including Edna St. Vincent Millay, Sylvia Plath, and George Eliot. Her poetry has been nominated for a Pushcart Prize. She has received three fellowships from The New Jersey State Council on the Arts, three National Endowment for the Humanities Summer fellowships, a fellowship from The Geraldine Dodge Foundation to the Virginia Center for the Creative Arts, and a fellowship from Rothermere Institute for American Studies, Oxford University, England. Artist's residencies include Hawthornden International Writers Retreat, Scotland, and Chateau de Lavigny, Switzerland. Professor of English, Emerita, Montclair State University, Carole Stone divides her time between New Jersey and East Hampton, NY.